One-Owner. Clean CARFAX. NAVIGATION, BLUETOOTH, REAR CAMERA, BLIND SPOT MONITORING SYSTEM, REVERSE SENSING SYSTEM, DUAL PANEL MOONROOF, 20" ALLOY WHEELS, TURN SIGNAL INDICATORS IN THE SIDE MIRRORS, HEATED & COOLED FRONT & 2ND ROW SEATS, POWER LIFTGATE, POWERFOLD FLAT 3RD ROW SEATS, CARPETED FLOOR MATS, DUAL ZONE CLIMATE CONTROL, SIRIUS SAT RADIO, BUCKET 2ND ROW SEATS, AUTOMATIC DAYTIME RUNNING HEADLIGHTS, POWER ADJUSTABLE PEDALS, POWER TILT/TELESCOPIC STEERING WHEEL, HEATED STEERING WHEEL, KEYLESS ENTRY, PUSH BUTTON START, WOOD TRIM, SUNSHADES FOR THE 2ND ROW SEATS, PREMIUM THX SOUND SYSTEM, POWER DRIVER'S SEAT W/ MEMORY, POWER PASSENGER'S SEAT, PADDLE SHIFTERS, SYNC, LANE KEEP ASSIST, ACTIVE PARK ASSIST, UNIVERSAL GARAGE DOOR OPENER, EXT TEMP, VERY CLEAN! CARFAX One-Owner. Clean CARFAX. Odometer is 2374 miles below market average! NAVIGATION, BLUETOOTH, REAR CAMERA, HEATED FRONT SEATS, SLIDING REAR WINDOW, SPRAY IN BEDLINER, REVERSE SENSING SYSTEM, 16" SPORT ALLOY WHEELS, ADJUSTABLE DRIVER'S SEAT, DOWN HILL ASSIST, SHIFT ON THE FLY, FOLD UP 2ND ROW SEATS, CARPETED FLOOR MATS, AUTOMATIC DAYTIME RUNNING HEADLIGHTS, FOG LAMPS, KEYLESS ENTRY, XM SAT RADIO, AUDIO CONTROLS ON THE STEERING WHEEL, DUAL ZONE CLIMATE CONTROL, TRACTION CONTROL, 4WD LOCK, `EXT TEMP, COMPASS, VERY CLEAN! 4WD 5-Speed Automatic with Overdrive 4.0L V6 DOHC Freshly detailed, Fresh oil change, 4WD. One-Owner. Clean CARFAX. NAVIGATION, REAR CAMERA, BLUETOOTH, HEATED & COOLED FRONT SEATS, BLIND SPOT MONITORING SYSTEM, ACTIVE PARK ASSIST, REVERSE SENSING SYSTEM, TRAILER TOW PACKAGE, POWER LIFTGATE, POWERFOLD FLAT 3RD ROW SEATS, BUCKET 2ND ROW SEATS, ALL WEATHER RUBBER & CARPETED FLOOR MATS, POWERFOLD SIDE MIRRORS, POWER DRIVER'S SEAT W/ MEMORY, 20 " ALLOY WHEELS, SIRIUS SAT RADIO, FOG LAMPS, AUTOMATIC DAYTIME RUNNING HEADLIGHTS, WOOD TRIM, DUAL ZONE CLIMATE CONTROL, KEYLESS ENTRY, PUSH BUTTON START, FOLD FLAT 2ND ROW SEATS, HEATED 2ND ROW SEATS, POWER PASSENGER'S SEAT, AMBIENT INTERIOR LIGHTING, POWER ADJUSTABLE PEDALS, SYNC, HEATED STEERING WHEEL, UNIVERSAL GARAGE DOOR OPENER, EXT TEMP, VERY CLEAN! One-Owner. Clean CARFAX. 4 NEW TIRES! BLUETOOTH, REAR CAMERA, BLIND SPOT MONITORING SYSTEM, REVERSE SENSING SYSTEM, TRAILER TOW PACKAGE, 20" ALLOY WHEELS, HEATED FRONT SEATS, AUTOMATIC DAYTIME RUNNING HEADLIGHTS, DUAL ZONE CLIMATE CONTROL, FOLD FLAT 2ND & 3RD ROW SEATS, POWER LIFTGATE, KEYLESS ENTRY, PUSH BUTTON START, SIRIUS SAT RADIO, FOG LAMPS, CARPETED FLOOR MATS, WOOD TRIM, POWER DRIVER'S SEAT W/ MEMORY, POWER PASSENGER'S SEAT, POWER ADJUSTABLE PEDALS, SYNC, UNIVERSAL GARAGE DOOR OPENER, EXT TEMP, COMPASS, VERY CLEAN! FWD 6-Speed Automatic with Select-Shift 3.5L V6 Ti-VCT Freshly detailed, Fresh oil change. One-Owner. Clean CARFAX. Odometer is 2010 miles below market average! 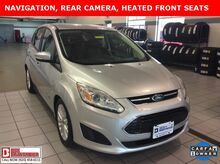 NAVIGATION, REAR CAMERA, BLUETOOTH, REVERSE SENSING SYSTEM, BLIND SPOT MONITORING SYSTEM, TRAILER TOW PACKAGE, HEATED FRONT SEATS, 18" ALLOY WHEELS, POWER LIFTGATE, POWER DRIVER'S SEAT W/ MEMORY, POWER ADJUSTABLE PEDALS, POWER PASSENGER'S SEAT, FOLD FLAT 2ND & 3RD ROW SEATS, FOG LAMPS, AUTOMATIC DAYTIME RUNNING HEADLIGHTS. KEYLESS ENTRY, PUSH BUTTON START, SIRIUS SAT RADIO, CARPETED FLOOR MATS, CARGO NET, WOOD TRIM, DUAL ZONE CLIMATE CONTROL, SYNC, UNIVERSAL GARAGE DOOR OPENER, EXT TEMP, VERY CLEAN! AWD 6-Speed Automatic with Select-Shift 3.5L V6 Ti-VCT Freshly detailed, Fresh oil change, AWD. CARFAX One-Owner. Clean CARFAX. Odometer is 1256 miles below market average! One-Owner. Clean CARFAX. Odometer is 7874 miles below market average! NAVIGATION, BLUETOOTH, REAR CAMERA, DUAL PANEL POWER MOONROOF, BLIND SPOT MONITORING SYSTEM, REVERSE SENSING SYSTEM, HEATED & COOLED FRONT SEATS, 21" SPORT ALLOY WHEELS, POWER LIFTGATE, POWER ADJUSTABLE PEDALS, POWER DRIVER'S SEAT W/ MEMORY, POWER PASSENGER'S SEAT, TURN SIGNAL INDICATORS IN THE SIDE MIRRORS, TRAILER TOW PACKAGE, KEYLESS ENTRY, PUSH BUTTON START, HEATED 2ND ROW SEATS, POWERFOLD FLAT 2ND ROW SEATS, WOOD TRIM, CARPETED FLOOR MATS, AUTOMATIC DAYTIME RUNNING HEADLIGHTS, DUAL ZONE CLIMATE CONTROL, HEATED STEERING WHEEL, PADDLE SHIFTERS, SYNC, UNIVERSAL GARAGE DOOR OPENER, EXT TEMP, VERY CLEAN! AWD 6-Speed Automatic 3.7L V6 Ti-VCT 24V Freshly detailed, Fresh oil change, AWD. One-Owner. Clean CARFAX. NAVIGATION, REAR CAMERA, BLUETOOTH, FRONT & REVERSE SENSING SYSTEM, BLIND SPOT MONITORING SYSTEM, DUAL PANEL POWER MOONROOF, HEATED & COOLED FRONT SEATS, 20" SPORT ALLOY WHEELS, POWERFOLD FLAT 3RD ROW SEATS, AUTOMATIC DAYTIME RUNNING HEADLIGHTS, POWER ADUSTABLE PEDALS, POWER LIFTGATE, AMBIENT INTERIOR LIGHTING, TURN SIGNAL INDICATORS IN THE SIDE MIRRORS, HEATED STEERING WHEEL, KEYLESS ENTRY, PUSH BUTTON START, PADDLE SHIFTERS, FOLD FLAT 2ND ROW SEATS, ALL WEATHER RUBBER FLOOR MATS, SIRIUS SAT RADIO, POWER DRIVER'S SEAT W/ MEMORY, POWER PASSENGER'S SEAT, POWER TILT/TELESCPOIC STEERING WHEEL, DUAL ZONE CLIMATE CONTROL, SYNC, UNIVERSAL GARAGE DOOR OPENER, EXT TEMP, VERY CLEAN! CARFAX One-Owner. Clean CARFAX. NAVIGATION, BLUETOOTH, REAR CAMERA, REVERSE SENSING SYSTEM, BLIND SPOT MONITORING SYSTEM, POWER LIFTGATE, HEATED FRONT SEATS, POWER DRVER'S SEAT W/ MEMORY, 18" ALLOY WHEELS, FOLD FLAT 2ND & 3RD ROW SEATS, WOOD TRIM, AUTOMATIC DAYTIME RUNNING HEADLIGHTS, POWER PASSENGER'S SEAT, FOG LAMPS, KEYLESS ENTRY, PUSH BUTTON START, POWER ADJUSTABLE PEDALS, SYNC, AUDIO CONTROLS ON THE STEERING WHEEL, DUAL ZONE CLIMATE CONTROL, UNIVERSAL GARAGE DOOR OPENER, EXT TEMP, VERY CLEAN!